You’re driving down the road and everything seems to be working normally. Suddenly there’s a light on the dash: The “Check Engine” light came on. Relax… there’s no real emergency. Take a deep breath and continue driving normally. Then, as soon as you can, drop in to Waldorf, MD Cottman for a free computer system check. We’ll scan your computer for codes and let you know exactly what type of problem you’re facing. And, if the problem needs further diagnosis or repair, we’ll tell you exactly how much it’s going to cost. In many cases the actual repair won’t be all that involved; sometimes it can be as simple as tightening the gas cap! But whatever the actual problem that caused your “Check Engine” light to light, your friends at Waldorf, MD Cottman are here to help. We have the training and the experience to analyze your car’s computer system, and we’ll be able to put the system back into like-new condition and get you back on the road quickly and at a great price. Sure, a light on the dash can be frightening. But your friends at Waldorf, MD Cottman are here to help take the scariness out of that light, and get your car working right… right away. Give us a call today! 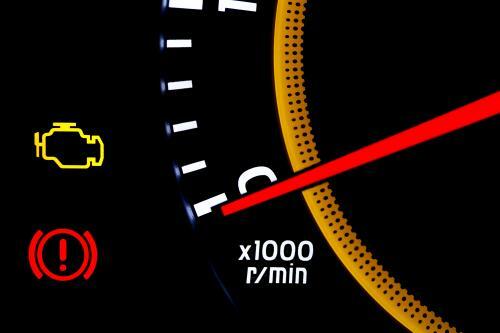 My Check Engine light is on; what does that mean?